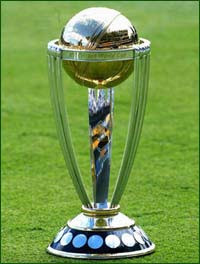 The UK’s CEBR estimate the Cricket World Cup will cost the UK £270m of GDP over the month of the competition. This, modestly, assumes England crash and burn thus not encouraging a great deal of domestic bookmaking activity. The study also carries echoes of great economists’ work of the last 200 odd years; and three of those might have slightly nuanced views on the sporting clash compared to Mr McWilliams'. Here Veblen, Ricardo and Weber discuss the chances of Pakistan and the West Indies in the opening tie. Thorstein Veblen: This competition is one manifestation of the many oppressions the ruling leisure class inflicts upon productive society. I will not be party to wagering on an event which is less useful than tilling the soil. The entire competition is pure and idle conspicuous leisure. David Ricardo: Jesus Christ, Thorstein, lighten up and live a little. Max Weber: It’s all right for you David – you are the lazy leisure class. Ricardo: What, I should feel bad that I bet sterling bonds ahead of Waterloo and laughed all the way to the bank? I worked hard from age 14 to 42. Why shouldn't I retire and enjoy my gifts and those of society? Weber: The idle lifestyle is sinly. Work, reinvest and more work is the name of the game. Had you converted to Protestantism instead of Unitarianism you might understand. And not swear. Veblen: Sinly? Max you moron. Religion is another comprehensive waste of resources. But what should we expect from a guy who married his cousin. Ricardo: The pair of you are truly killjoys. Do neither of you enjoy any idle pleasures? Weber: David, look, I have, uh, latent parental issues on that count. Veblen: Yeah, and David, I think my record with, ahem, the ladies speaks for itself. Weber: But didn't married life with you contribute to your second wife’s being institutionalised? Veblen: I meant all the other ladies. And Max, glasshouses bro, glasshouses. Anyway, to return to the betting – I will not participate. Weber: Neither will I [whispers guiltily] but Pakistan look to have better form. Ricardo: Maybe but they bat poorly in the Caribbean. And Chris Gayle will click at home in Sabina Park. Windies to upset the odds - and Jamaica to party hard tonight. I guess Mr Gayle thought it was the two innings version!